Abstract Expressionism has a shared history with the The Great Depression. This art method was a very colorful way to wake up our nation after a long struggle. Artists of that time are many, but few are recognized. In the lessons below, there are multiple artists’ work for you to sample from. ” Abstract Expressionism” or the “New York School” movement of art can be clustered around two basic inclinations: an emphasis on dynamic, energetic gesture, in contrast to a reflective, cerebral focus on more open fields of color. 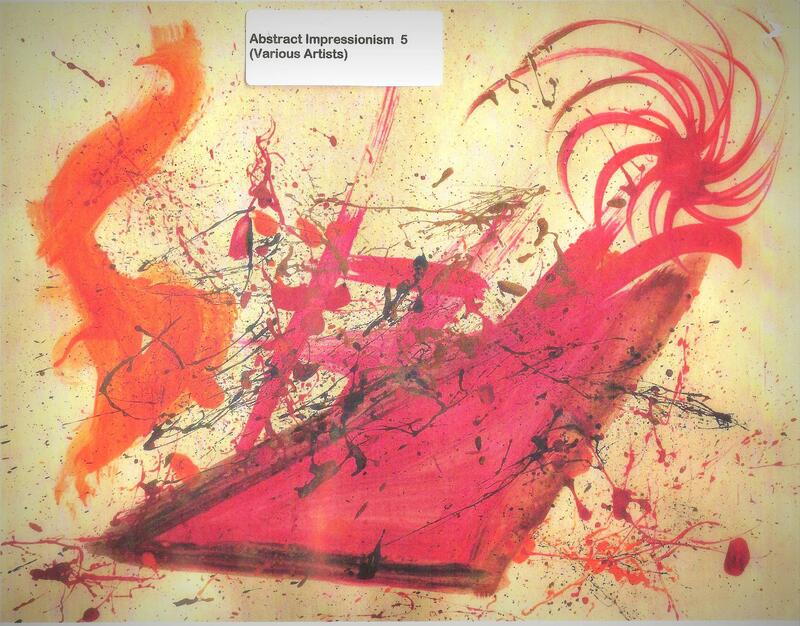 In either case, the imagery was primarily abstract. Even when depicting images based on visual realities, the Abstract Expressionists favored a highly abstracted mode. 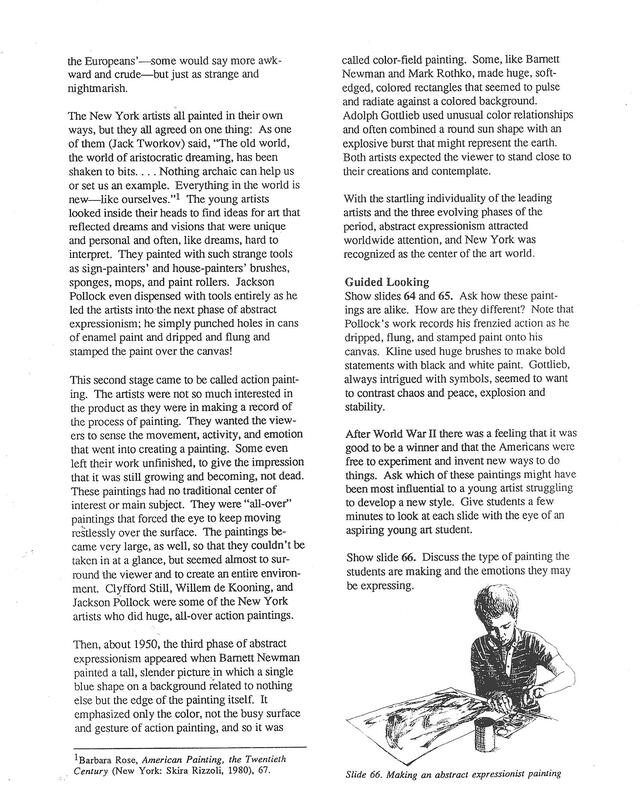 In 1952, an art critic is quotes as saying “At a certain moment in history the canvas began to appear to one American painter after another as an arena in which to act—rather than as a space in which to reproduce, re-design, analyze, or ‘express’ an object, actual or imagined. What was to go on the canvas was not a picture but an event.” He called the style “action painting”. An amazing thing that art does is make it’s way back around – it repeats it self – after a fashion. I’m delighted to introduce you all to Aelita Andre. She’s a young prodigy with insanely supportive parents. 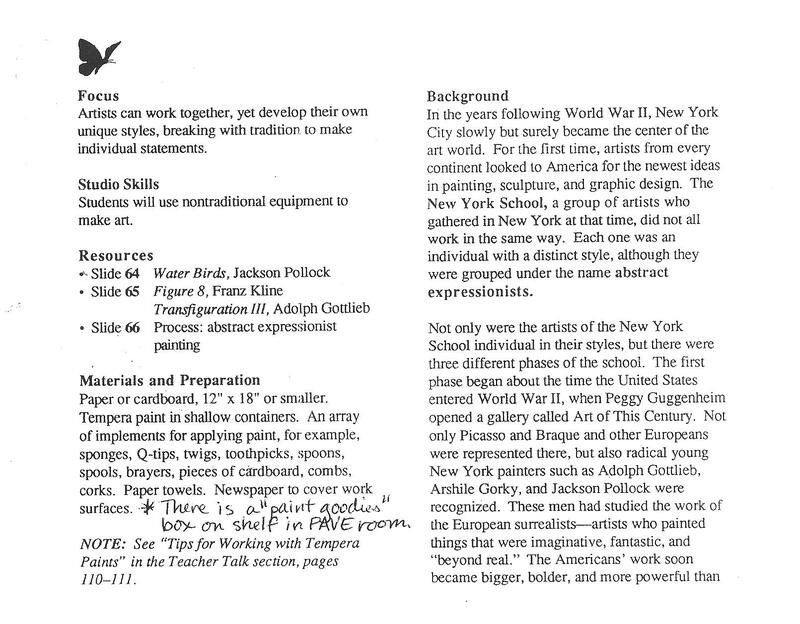 You may see some similarities in her work to artists of “The New York School”. One thing I know – I’ve never seen art created with such feeling. It’s fine to read about Abstract Expressionism, it’s another thing all together to see an artist create an abstract piece with expression…. Try something with your students that will let them be completely free with their art and the mediums that you provide. Yes, glitter is forever. What the heck. Go with it. 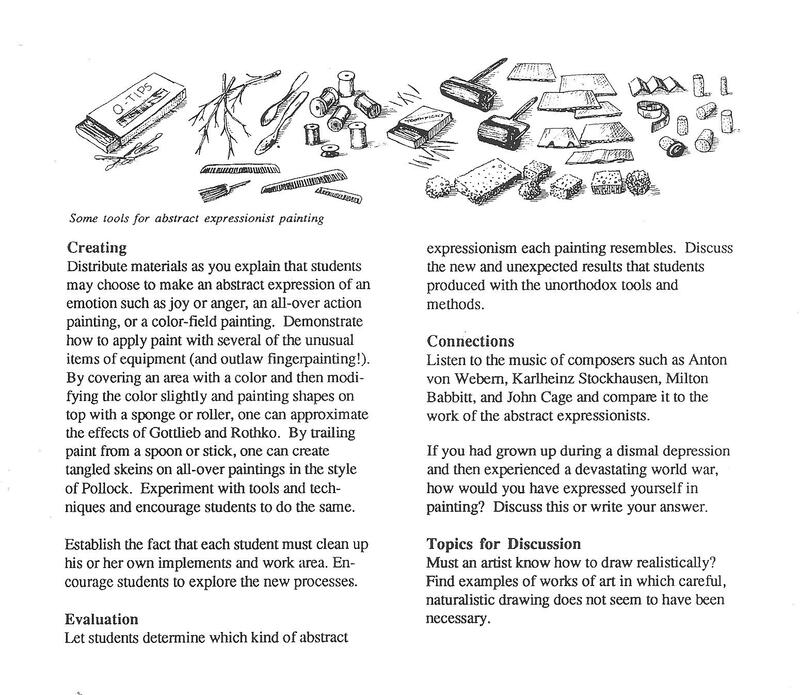 Liquitex also has an Abstract Expressionism lesson posted on their website.